An atheist who is more insightful than most church leaders. A person from the audience posed a question to Ayaan Hirsi Ali. The question essentially is: If Christians go into Muslim neighborhoods and evangelize, aren't you just replacing Islamic fundamentalism with Christian fundamentalism. 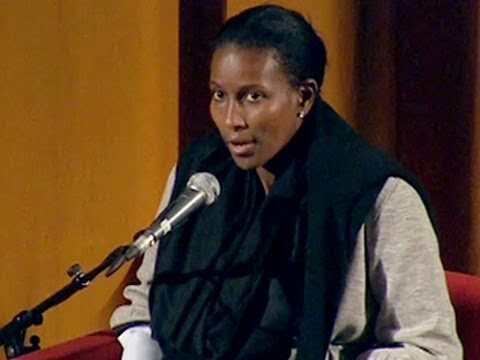 Ayaan Hirsi Ali, who is an atheist, notes that Islam is a rapidly growing religion that is winning the battle of ideas for the hearts and minds of today's youth. She notes that today's Christianity is dormant and intimidated by the politically-correct crowd. She feels that most Muslims do not want to become atheists. Hence, Christianity might be an option for them if Christians were willing to evangelize in Muslims lands. Currently, Enlightened thinkers, Christians, and Communists are not competing in the area of ideas like the Muslims are. Contrast this lack of competition with Islamic boarding schools in Europe and Hezbollah who train young children to care only about jihad and the hereafter. While most Christians have given up on the idea of hell, it is a very real thing in a Muslim's mind. Muslims have a powerful motivation to live in view of the hereafter that today's Christians have lost.